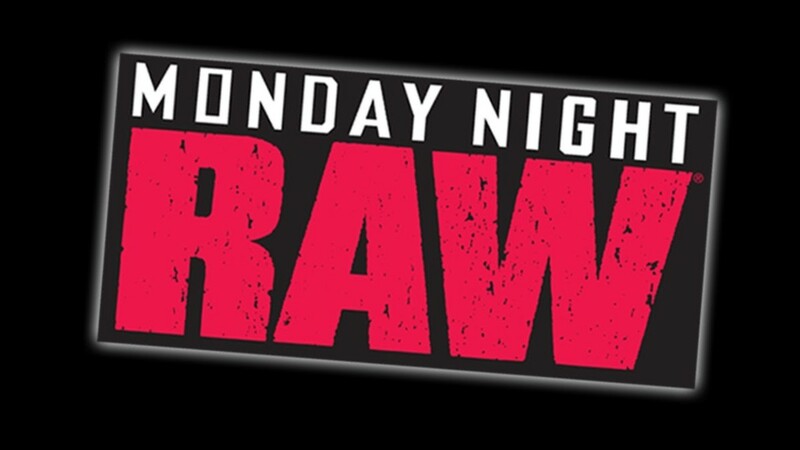 Tonight is the Go-Home Edition of Monday Night Raw before this Sunday’s Elimination Chamber PPV. First, what will happen when The Man Becky Lynch is once again invited to Raw? Plus, will Ruby Riott be able to get in the head of Ronda Rousey ahead of their Raw Women’s Championship Match this Sunday? Also, after being saved by Braun Strowman last week what will be next for Kurt Angle? Will it be the team of Banks and Bayley, Jax and Tamina, or Logan and Morgan who will be the first team to enter the Chamber on Sunday? Finally, will Finn Balor get a shot at the Intercontinental Championship? 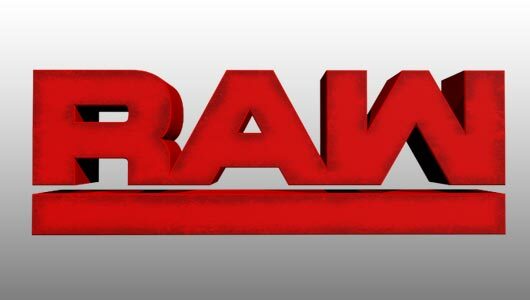 Raw comes to us from the Van Del Arena in Grand Rapids, Michigan. Stephanie welcomes everyone and reminds them about the Elimination Chamber PPV this Sunday, she mentions how for the first time ever there will be a Women’s Tag Team Champions. Triple H then reminds how Daniel Bryan will defend the WWE Championship this Sunday as well. Stephanie then tells that Ronda Rousey will defend the title against Ruby Riott and if she is successful she will go on to WrestleMania to defend the title against The Man Becky Lynch, he says that was the plan until this happened and shows last weeks footage. Stephanie says they will still give everyone what they want. She tells Becky saw here doctors and outcomes Becky Lynch. Becky says it’s nice to be here. She tells them they’re looking well and tells Stephanie the swelling seems it has gone down but she will hit her harder next time. Triple H apologizes to Becky Lynch for what he said to her last week. Triple H announces that Lynch’s knee is okay and after a couple weeks of rehab she will be cleared. He tells that the suspension is lifted and her match at WrestleMania is on.  Stephanie says it is official and it could be one of the greatest matches in history. Stephanie and Triple H say that the match will take place if and only if she apologizes. Lynch asks what she is apologizing for. Stephanie tells her not to be stubborn. Lynch tells her to shut her face and tells her she doesn’t trust them. She tells how they tried to steal her opportunity. Lynch says hell no to apologizing. She tells them to take their apology and shove it up their arse. Stephanie and her than face off. Triple H tells them to calm down and tells Lynch this is not the hill she wants to die on. He asks her if she wants to fight her or at WrestleMania. He asks if she wants that opportunity for everything she has worked for or throw it all away. Triple H says he is giving her a choice and by the end of the night, she needs to come out here and tell them what her choice is. This was a good opening segment with Lynch, right now she has that Stone Cold role and she’s doing well with it. 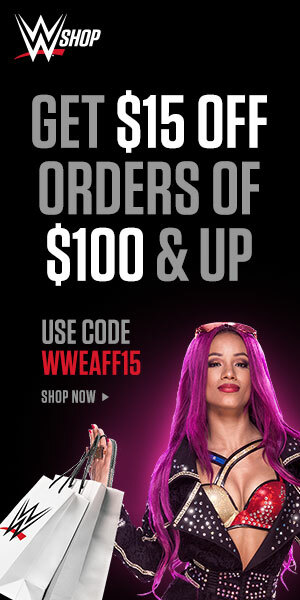 I think the more she fights the authority the larger the pop is gonna be for her at Mania. As right now she is in control and the fans love her. All they have to do is get her to Mania and she is gonna make a very memorable moment with Rousey. Jax and Banks start the match but Banks quickly tags in Morgan. Jax takes it to Morgan and she is down on the mat. Mogan is able to fight away and in comes Logan. Logan comes in hot and lands a headbutt but Jax stays on her feet. Jax is able to land one of her own and Logan goes down. Tamina gets the tag and she hammers on Logan as she comes in. Logan fights out and drives Tamina into the corner. Morgan comes in and tries a cover but can’t get the three. Morgan tries out power Tamina but she is met with a huge right hand. Tamina slams Morgan and goes for the cover but Morgan kicks out. Jax gets the tag and keeps control of Morgan. Morgan is able to land kicks to the knees of Jax and one dropkick drops Jax to her knees. Bayley gets the tag but her and Banks are taken out by the Riott Squad as Raw goes to break. As Raw returns, Morgan is in control of Bayley. Morgan gives up her position and tags Tamina. Tamina takes it Bayley and toys with her. Tamina misses on a superkick and Bayley takes control but she is not able to put her away. Bayley hangs up Tamina and tags Morgan. Morgan tags in Logan and the tow double team Tamina. They continue the double team and Morgan tries a cover but Tamina kicks out. Logan hits Tamina with a big right hand but Tamina fights back with an elbow. Tamina pounds on Logan and then drags her into the corner. Jax hits a splash and takes control. Jax then throws around Logan. Tamina comes in and takes out Morgan before hitting Logan with a Samoan Drop. Tamina looks for a splash but Logan gets her knees up. Bayley gets the tag and takes it to Morgan. Bayley then hangs up Tamina. Bayley takes it to Jax on the outside and is able to fight off Riott on the outside. Bayley goes to the top and hits Morgan with the elbow. Logan is able to break up the cover. Bayley hits the Bayley to Belly but Tamina breaks up the pin attempt. Jax hits the Bayley with a Samoan Drop and gets the 1 2 3. Bayley and Sasha will enter first. Banks and Baylye looked to be the ones that were gonna be the inaugural winners but now they have the biggest hill to climb. If they win this will be a huge upset and I think they could do it. I hope they bring their fighting spirit and can pull this off. As for Jax and Tamina, this was a big win and they seem to be the favorites right now. Elias is in the ring but they keep cutting away from him. They then cut back and he is cut off by the arrival of the Lucha House Party. Elias tells how he is the best musical act and yet he continues to be interrupted. He says he wrote a song for himself and asks why they are out here. They tell him they are here to entertain the WWE Universe and that they wanna Walk With Elias. Elias says he will sing his song then. Lucha House Party tells Elias they could do it better. Elias then gives his guitar to Kalisto. He tells Kalisto he was good and asks if he wants to do a duet. Elias grabs his other guitar and hits Kalisto with it. Elias then runs. Mcintyre attacks Balor from behind and stays on him. Mcintyre gets him on the ground and hammers with rights. Mcintyre then works the arm of Balor and pushes on his face. Mcintyre then runs his forearm across the nose of Balor. Balor fights out to the apron and he and Mcintyre trade rights. Balor is able to move out of the way and Mcintyre crashes to the floor. Balor then takes down Rush. he hits Mcintyre with a sling blade and then drops Mcintyre. Balor goes to the top but Lashley knocks him off and the ref calls for the bell. Lashley then comes in the ring and drives Balor into the corner. Kurt Angle now comes to the ring. Angle takes down Lashley and then takes down Mcintyre. Angle then puts the ankle lock on Rush. Baron Corbin comes from behind and takes down Angle. The three then gang up on Angle. Out comes Braun Strowman. Braun takes down Mcintyre and hen Lashley. He tosses them around and then looks at Baron Corbin. Braun hits him with a headbutt and then grabs him but Mcintyre then saves him. Balor gave it everything he had tonight but of course, Lashley had to get invovled. Balor continues to be put down but I hope he brings his best fight this Sunday. It would be a huge win for him and Balor going into Mania with the title would be amazing. It was cool seeing Angle again out there and big props to Braun for making the save. Strowman takes it to Mcintyre and tags Angle. Angle does some damage and in comes Balor. Mcintyre is able to control Balor and brings him to the corner. Balor is hammered on and when Lashley comes in he has no give on Balor. Mcintyre comes in and Balor is able to fight him off. Angle gets the tag and suplexes, Mcintyre. Angle tries a cover but Corbin comes in and breaks up the pin. Lashley comes in and plants Angle face first. Mcintyre tries the cover but can’t get the three. Corbin now gets the tag and works a half nelson on Angle. Lashley comes in and bounces Angle off the turnbuckle. Lashley toys with Angle but Angle is able to hit him with a big boot. Mcintyre comes in and cuts off Angle. He hammers on him and then sends him to the outside as Raw goes to break. As Raw returns, Balor gets the tag and he takes it to Corbin. Balor takes down Corbin and but his momentum is stopped with a boot. Balor is able to land an enziguri but Corbin comes back and a chokeslam backbreaker. Lashley comes in and targets the mid-section of Balor. Balor is able to land a backdrop and then basement dropkick. On the outside, Braun is taken out by Mcintyre. Balor flies to the outside to take out Mcintyre and Corbin. He then catches Lashley and goes to the top but Rush gets involved. Lashley knocks down Balor and grabs him. Balor is planted face first and Lashley gets the 1 2 3 even though Balor gets his foot on the rope. Chad Patton comes out to clear the situation and the match is being restarted as Raw goes to break. As Raw returns, Balor continues to fight and is able to catch Corbin and take him down. Lashley shoves Balor into the corner. Lashley lifts Balor but Balor fights off and takes him down and buys himself time. Balor lands an enziguri and looks for a tag. Strowman gets the tag and runs through everyone. Strowman takes Lashley and drops him with a blow to the chest. Corbin and Mcintyre get the same fate. Strowman then goes to the outside and drives everyone into the barricade. Angle then takes down Corbin. Strowman takes Mcintyre down. Balor has a clear path and hits the Coupe de, Grace on Lashey. Balor gets the 1 2 3. Huge win for this team tonight! Balor finally gets one over on Lashley and he looks ready for Sunday. Of course, Balor won’t have the back up he did tonight but still, he should be ready to go. Balor seemed to really carry his team but this is exactly the momentum he needed. Charly asks Lynch what she will tell her fans if she doesn’t apologize. Lynch tells her it’s none of her damn business. Cross takes it to Riott and is able to take her down. Cross tries a cover but can’t get the three. Cross locks in a sleeper hold and Riott has to back her off in the corner. Riott is able to land double knees in the corner and continues the beating on Cross. Cross tries to battle back and finally gets to her feet to break the hold. Riott is able to take her down once again and tries the cover once more but Cross kicks out. Riott then toys with Cross on the mat. Riott sends her off the ropes and Cross is taken out at the knees. Riott lands a huge kick and then taunts Cross on the apron. Cross finally gets in control and then lands a crossbody on the outside. Cross grabs Riott and brings her in the ring. Cross tries to go up top but Riott takes her down. Riott lands the riott kick and gets the 1 2 3. Riott picks up a huge win tonight ahead of her match on Sunday. If Riott lands that kick on Sunday she definitely could win but we are so close to Mania that this a battle Riott can’t win. I think Rousey is ready and this Sunday Riott would have to bring even more than her A-game to get this win. Rollins says he was gonna come out here and talk about Lesnar and Mania but he had a chance to watch the highlight reel earlier so he’d rather talk about his last 12 months. He goes after his accomplishments this past year and says it has been crazy and he was glad to share it with the fans. He says this was the years he finally felt like Seth Fricken’ Rollins. Rollins tells that a couple weeks ago he took 6 F5’s and now he is in pain and some of the worse he’s felt. He says the good news is he took 6 of those and he is still here. He said as long as he can fight he can beat Brock Lesnar. He says if WrestleMania is the last match of his career. Rollins is then cut off by Paul Heyman. Heyman then informs that Lesnar is not here tonight. Heyman asks Rollins if he honestly believes his DNA matches Lesnar’s DNA. Heyman calls him a great athlete and one of the best he has seen in his entire life but Brock Lesnar is a beat, predator, career killer, and merciless statist with an unrepented soul. Heyman calls Rollins match a suicide mission. He says if Rollins walks into WrestleMania and tries to take the title from Lesnar he will the be the architect of his own misses. Heyman says that is not a prediction but that is a spoiler. Rollins says Heyman is right but he doesn’t care. He says Lesnar has held this industry hostage for two long years and he won’t stand for it anymore. He says he will be the martyr who sacrifices everything, he says he will sell his soul to beat Lesnar and that is not a prediction but a spoiler. Out comes Dean Ambrose. Ambrose tells Rollins to slay the beast. Rollins seemed very poised and ready tonight, he has a lot of time until Mania but obviously, he can’t lose his focus. Heyman had some true words but it’s about time someone comes in and takes out Lesnar. That title has been gone long enough and WWE is gonna need to be on the top of their game this year which means all titles need to be present. I think Rollins is the right guy for this and I loved the touch at the end with Ambrose coming out. Ambrose takes it to EC3 early in the match. EC3 goes to the outside and is able to catch Ambrose as he gets back into the ring. EC3 hammers on Ambrose on the mat and then works him in the corner. EC3 is able to hit a missile dropkick and then suplexes Ambrose. EC3 goes for the cover but Ambrose is able to kick out. EC3 then goes to a vise grip on Ambrose. EC3 hits Ambrose with big chops and then plants him. Ambrose is able to move out of the way of EC3 and he crashes into the post. Ambrose continues the offensive and hits a side slam on EC3. Ambrose goes to the top but is dropped by EC3. Ambrose rolls up EC3 and gets the 1 2 3. Ambrose picks up a solid win tonight and hopefully, this continues the rivalry on. For EC3 this is a good way for it to carry on. 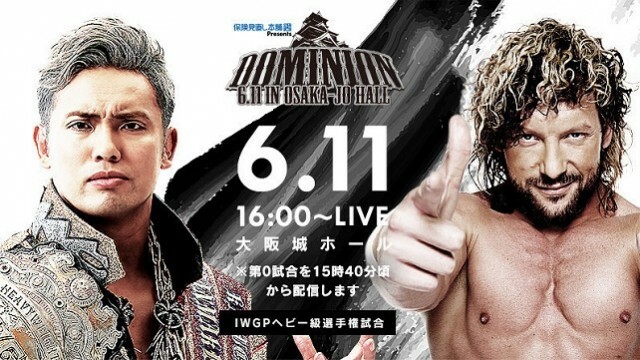 EC3 can use this and get better and the next time he faces him EC3 can get that win. A rivalry with Ambrose can put him to the top and Ambrose can ride off into the sunset afterward. Bliss tries to talk sense into Lynch telling her to apologize. Lynch says if she apologized she would be selling out WrestleMania. Gable and Wilder start off the match and Gable is able to land a hip toss after a quick exchange. Wilder is able to land a tag and Dawson comes in. Gable lands a deep arm drag and then works the wrist of Dawson. Gable then gets Dawson down on the mat and keeps working his arm. Roode comes in now and takes it to Dawson. Gable and Roode land to big throws sending The Revival out of the ring. Gable lands on the apron and then goes to the top, Gable hits a moonsault to the outside taking out The Revival as Raw goes to break. As Raw returns, Wilder is in control of Roode. Roode tries to fight out with right hands but is then driven into the ropes. Roode is able to send Dawson to the outside and then gets Wilder hung up on the turnbuckle. Gable takes down Dawson and then is able to take down Gable. Gable hits Dawson and then flies to take out Wilder. Gable lands a big throw but then is caught by an elbow. Gable is able to land a German Suplex but it’s not enough to put away Dawson. Gable tries a roll-up but Dawson kicks out of the cover. The Revival double teams Gable but Gable kicks out of the cover. Dawson hammers on Gable and then lands a back body drop. Wilder gets the tag and takes it to Gable with the double team. Wilder tries a cover but can’t get the three. Dawson gets the tag and continues to work Gable on the mat. Gable fights out of the corner but Dawson continues to prevent the tag. Gable finally is able to create separation but wilder lands a distraction. Wlder gets the tag and they double team Gable. Wilder goes for the cover but Gable kicks out. Gable lands a series of German Suplexes as Raw goes to break. As Raw returns, Roode comes in hot hitting with a series of clothesline. Roode plants Dawson and then slams Wilder on him. Roode then runs his shoulder into the gut of Wilder and Dawson in the corner. Roode hits the spine buster but Wilder kicks out f the cover. Wilder tries a roll-up but Roode kicks out. Wilder tags Dawson and they then land a double team again but Roode won’t stay down. The Revival try another double team but this time Gable helps out. Gable finally gets the tag and they try a double team of their own. Gable goes for the cover but Dawson comes in just in time to save the match. Gable lands a beautiful takedown but can’t get a cover. Dawson comes off the top rope and takes down Gable but Roode comes in to save the match. Roode comes into help and takes it to The Revival. Wilder is sent to the outside but Dawson fights him off. Gable comes in and tries a cover but Dawson kicks out. The Revival hit The Shatter Machine and finally get the 1 2 3 and the titles! Finally! The Revival finally gets the gold just like they’ve deserved for so long now. This match was a clinic and I give it to both teams as they gave their all. I hope this run with The Revival is something that lasts for a while. They can have great matches with anyone and I can’t wait to see what they’ll do as champs! Stephanie asks if she is gonna go on to Mania or not. Triple H says they want this to work out. Stephanie says she can go on to make history but you have to take responsibility for your actions. She asks Lynch if she is gonna say those words or throw away her moment in history. Triple H tells Lynch to shut out the crowd. He once again asks Lynch what he wants. Lynch says she thinks the two of them doesn’t want her near the match. She says she doesn’t trust them and she got angry when she thought her opportunity was being taken. She says if all that’s keeping her from her dream is two words then she is sorry. Lynch says now that nonsense is out of the way they have a deal. She says if anyone tries to take her dream they are gonna be in the fight of their life. Triple h says they wouldn’t have it any other way she’s going to WrestleMania. Lynch asks if that’s it. Triple H says that’s it you’re going to Mania. She then calls for Ronda Rousey. Here comes Rousey! 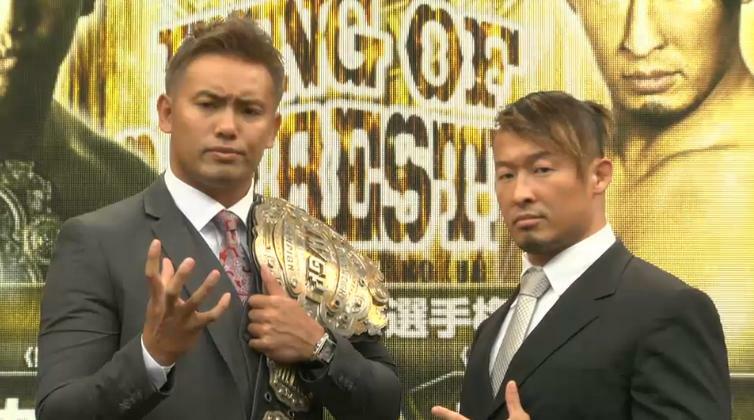 Vince McMahon comes out and says this could be one of the greatest main evens of all time. He says Lynch has an attitude and that goes for Rousey as well. Vince tells Lynch she is suspended for 60 days, he says that suspension runs out 5 days after Mania. He says they need someone who is gonna take Ronda to the limit and that is Charlotte Flair. This was not how I wanted the night to end. I am so ready to see Lynch and Rousey go at it so I really hope this isn’t how it goes down. I like this build up with all this back and forth but I really hope they get it together with some time to go so they can properly build this. 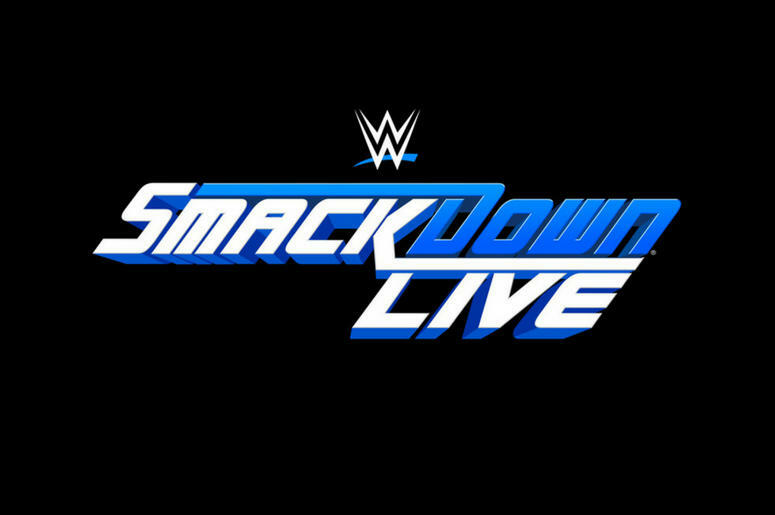 One thing is for sure I can’t wait to see what happens tomorrow on SmackDown! This was a pretty good Raw tonight, I loved the way the show started with Becky Lynch. This whole show kinda revolved around Lynch and I loved that, I was always a fan of those nights where the opening of the show lead to a whole night of wondering and waiting. I really hope what was announced at the end of the show isn’t how things go down. Lynch deserves the match and if she wins at Mania it’d be one of the biggest Mania pops maybe ever. Also, I was so happy to see The Revival finally win the tag titles, they have been fighting for so long to get those so it was awesome! I hope they have a successful run because they deserve that much for all they’ve done. Seth Rollins was very impactful tonight with his words, he seems ready for Lesnar no matter the cost. I loved Ambrose coming out as well and giving his approval, I think if Dean is going out keep letting him just pop up and doing things like this to get the crowd hyped. Overall this was a good show and I can’t wait for Sunday as that will get us one step closer to Mania! It was mostly a snoozefest the only thing interesting was Becky Lynch and then that ended with a BS decsion.